Ezequiel Marin was like most nine-year olds whose dad played handball. He started playing when he was seven. He followed him to the courts. He loved it. 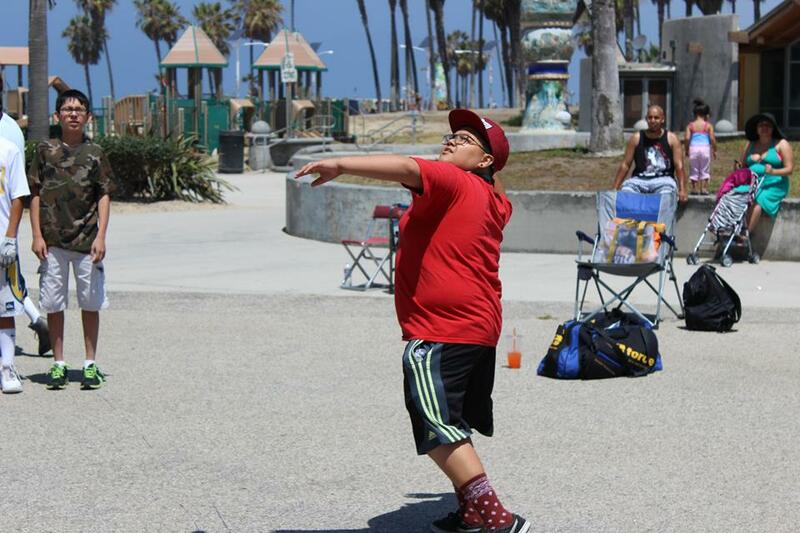 He grew up playing handball in Hollydale Park, just outside of Hawthorne, CA, playing handball every weekend with his dad, younger brother and cousins. Ezequiel also played soccer, often staying after practice to run extra laps. He was always full of energy but something suddenly changed. He started to feel constantly fatigued, he was losing weight rapidly, he lost his appetite and he was sleeping for 12 hours a day. Four long days of testing at Long Beach Memorial Hospital revealed a crushing diagnosis, leukemia. Leukemia is a cancer of the blood cells, with the signs and symptoms of childhood leukemia caused by the lack of normal blood cells. The lack of normal blood cells causes symptoms that include extreme fatigue, pale skin, frequent infections and fever, and easy bleeding and bruising. By discovering the best drugs and treatments, doctors have improved the five-year survival rate of childhood leukemia from less than 10% in the 1960’s to 90.4% today (Simon, 2012). While a survival rate may be slightly greater than 90%, learning of your child’s diagnosis is crushing. Ezequiel would battle leukemia for nearly five years, spending more than two of those years in the hospital undergoing chemotherapy, with many of those treatments producing nausea and a great deal of pain. When not responding to chemotherapy, doctors would employ a Port-A-Cath to pump the treatment to Ezequiel’s blood through his chest, an extremely painful procedure. The Port-A-Cath involves a 3cm skin incision on the chest wall for the port pocket and a 5 mm incision in the lower neck to enter the vein. The port is placed completely inside the body, with the tip of the catheter sitting in a vein just above the heart (Banerjee, Mehta, 2012). When Ezequiel was not responding to the chemotherapy he was unable to eat or drink for up to two weeks, surviving solely on medication and IV fluids. 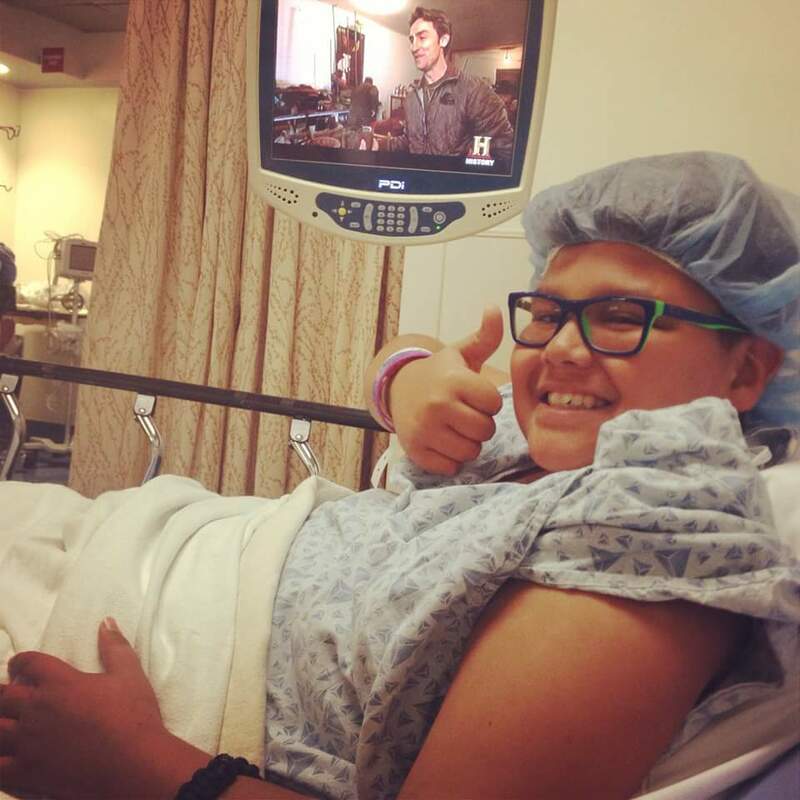 Despite the daunting circumstances, Ezequiel never allowed the leukemia to break his spirit. 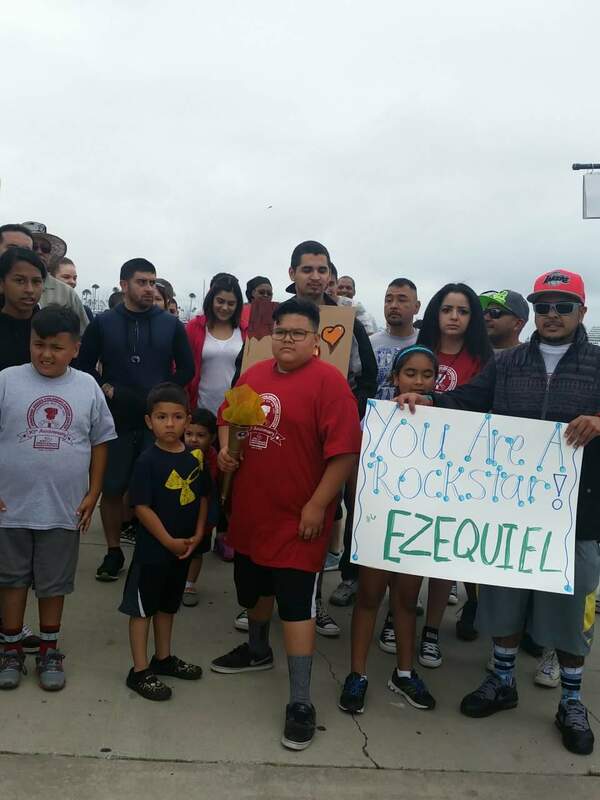 Serving as a source of inspiration for his mother, father, brother and family, Ezequiel rallied those closest to him, never allowing any of those in his immediate or extended family to doubt that he would fully recover. 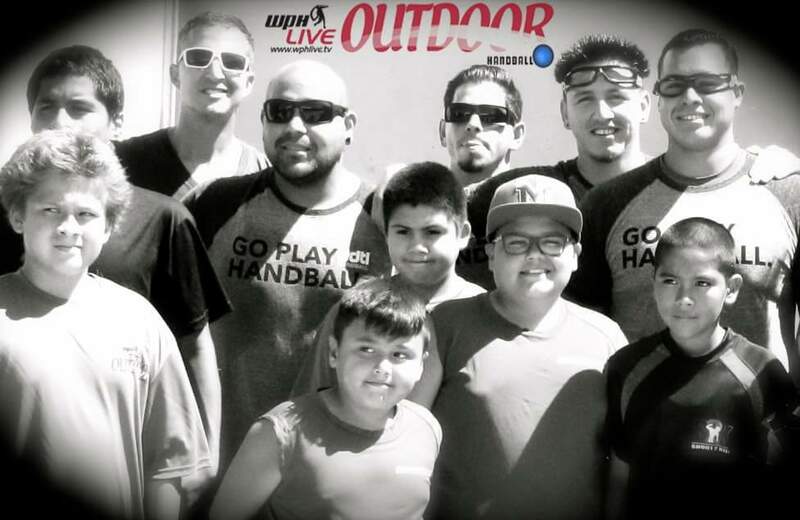 “The big ball handball community always rallies around any handball member in need,” declared WPH Outdoor #3 pro and frequent Ezequiel doubles partner Ricky Ruiz. Ezequiel inspired not only his family, but also many of those who knew of his condition within the handball community. After nearly five years of treatment, Ezequiel was deemed to be leukemia free by his doctors, enabling him to resume the activities of a healthy young person. 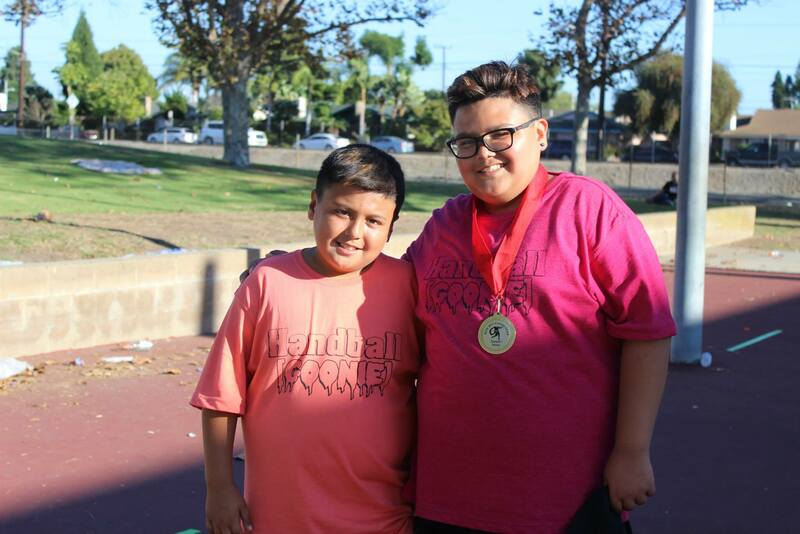 One of the leukemia-free highlights for the Marin family was being able to share their passion for handball together. Mario started playing handball nearly 15 years ago, relishing the competition, the handball culture and watching the juniors playing the game, but mostly being able to share the game with his two sons. Much like his father, Ezequiel loves the competition, as well as watching the pros and the techniques involved with becoming a top player. Nearly every weekend serves as a family reunion at the handball courts for the Marins, as Mario, Ezequiel, younger brother Jacob, uncles, and cousins play together. The father-son handball dynamic can be complicated, but Mario and his sons embrace every moment they are able to spend together on the court. Not coincidentally, Ezequiel’s favorite shot is the left-corner kill with his right hand, the shot that WPH Outdoor #1 pro and Ezequiel’s favorite athlete Samzon Hernandez has frequently employed in reaching the pinnacle of the sport. Ezequiel will use that perspective when he turns 16, as he will serve as a junior counselor for younger kids who are fighting cancer at Camp Dream Street. The camp is a four-day overnight camp in which young kids battling cancer will have the opportunity to spend time with cancer survivors in a fun environment intended to lift the spirits of those experiencing difficult circumstances. 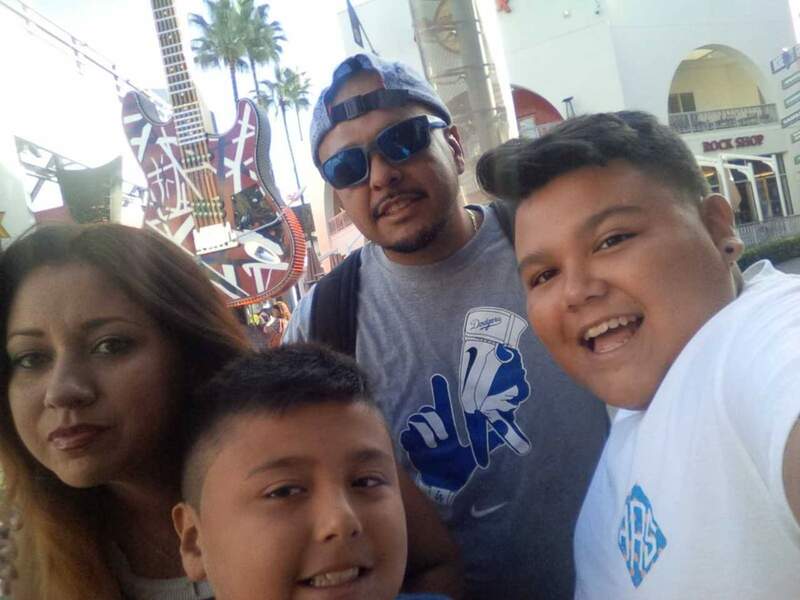 “Ezequiel is a very compassionate and caring young man, especially with kids that have gone through the same experiences that he has,” explained Ezequiel’s mother Jasmin. Both Ezequiel and his brother eagerly await each WPH Outdoor junior tournament, often being the first junior players to register. “Ezequiel tells me to let him know when the WPH Outdoor tournaments are because he always wants to play,” revealed Flores. Ezequiel shares his passion for helping others and handball with being creative, challenging himself and learning new skills, particularly in making short films and participating in school plays. “My dream is to someday direct major motion picture comedies,” stated Ezequiel. With the courage, resiliency, maturity and compassion Ezequiel Marin has demonstrated at such a young age, there is likely nothing he cannot accomplish.